INFINITI of Manhasset regards the safety and security of our customers and their families as extremely important. To learn if your INFINITI has been identified for specific service campaigns or recall actions, please retrieve the vehicle's identification number (VIN) and click here. When it comes to your INFINITI, no one knows it better than our expert technicians at INFINITI of Manhasset. 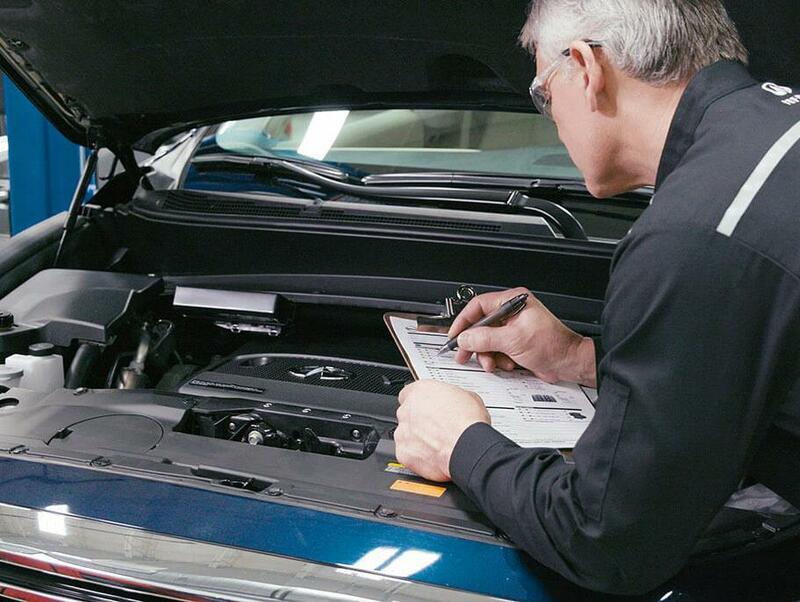 Our extensive experience and advanced diagnostic tools allow us to provide the best possible service. When you bring your vehicle to us for service, count on our team of factory trained and certified technicians to provide you with superior quality service using only OEM parts. We also offer a wide range of service and repair specials. Our INFINITI service department is here to help keep your vehicle running smoothly. From basic oil changes to complete tune ups and brakes, our team of factory trained technicians know your vehicle inside and out.